At this year’s annual meeting we sought conversion in social apostolate with regards to ecology, spirituality, collaboration and more. The meeting started with short, realistic and encouraging reports from nine province delegates, joined by the incoming Europe and Near East delegate Peter Rožič, the SJES secretary Xavier Jeyaraj, and close collaborators from the Spanish social apostolate sectors. We followed with a discussion on the 36th General Congregation through the lens of social apostolate, trying to see God at both transformative work and our governance elements of discernment, networking and collaboration. We discovered that our role in these necessitates our conversion. We also found the need of continuous conversion with regards to our relationship to ecology, as demanded and encouraged by the Pope and the Society. 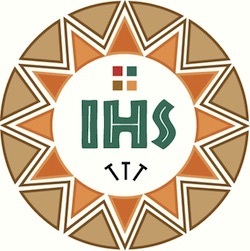 Finally, a conversion and continuous work are needed in the fostering of our collaboration within the social apostolates as well as in connecting them better with the Society’s educational, research, vocational and other apostolic efforts. Our proceedings were illuminated by the contribution of Patxi Alvarez on the spirituality of the Social apostolate. Patxi, the former SJES secretary, invited us to ponder various spiritual sources and the characteristics of justice promotion through the Ignatian way of embracing tension and its possible fruitfulness. The sharing on these issues was accompanied by times of reflection and prayer, by visiting a number of Jesuit social projects in Bilbao (ALBOAN and Fundación Ellacuria) and San Sebastian (Arrupe Etxea), and by enjoying the local tapas and pinchos as well as music. 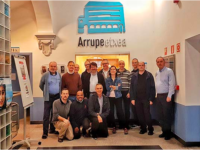 For example, we were much enriched by our visit to Arrupe Etxea, a welcoming Community of Hospitality in San Sebastian, where we prayed and shared meal with the community members: those that just left a prison, Jesuits, lay collaborators and a diocesan priest. 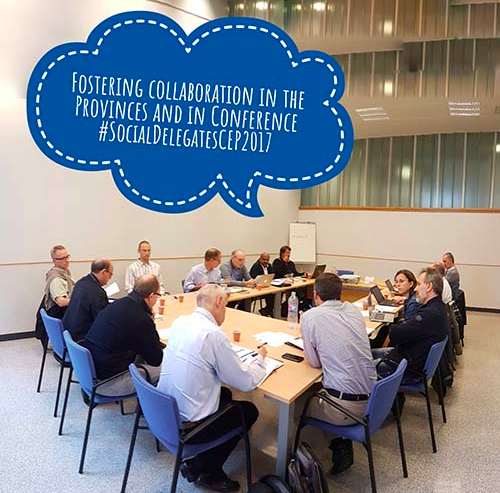 Before our next meeting in Milan (April 9-10 2018), we decided to further elaborate our identity, characteristics and goals as people engaged in the social apostolate. We also desired to keep the rich dynamic of the group – as shown by the video [link] – that has been nurtured over the past years by the untiring work of José Ignacio Garcia, to whom we are grateful for coordinating the group so well. The annual meeting was organized by José Ignacio Garcia (the outgoing Conference coordinator), Alberto Ares and Jérôme Gué. This has now been published. For a copy, please click here.